Discover Fiji’s fascinating back story by getting to know the islands’ warm and welcoming culture. Traditional Fijian culture and customs are enchanting, especially the songs of welcome. Virtually everywhere you go, you'll be serenaded by warm smiles, friendly waves and the strains of island music. Sometimes the music even reaches your ears when you're out at sea, paddle boarding or snorkelling. To find yourself admiring colourful fish with a live Pacific soundtrack playing in the background is a very special kind of magic. Indigenous Fijian feasts are cooked in a 'lovo', an underground earth oven heated by hot stones. This slow-cook technique produces beautifully tender food with great flavour and a light smokiness. 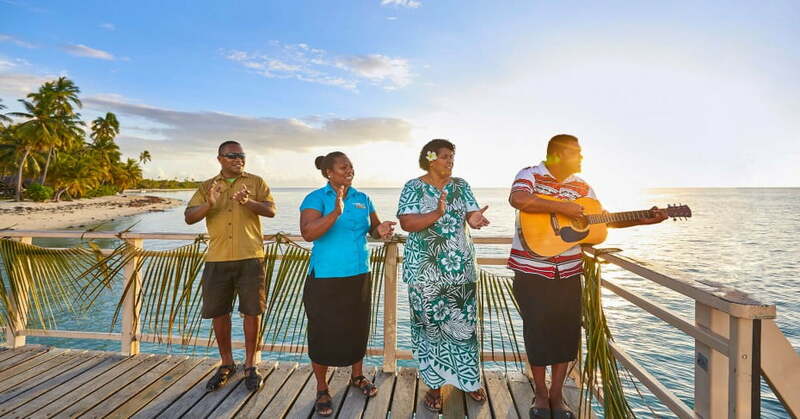 From the moment you arrive in Fiji, you’ll notice that music and song are a big part of everyday life. You’ll also experience cultural ‘meke’, meaning all kinds of traditional song and dance, from graceful fan performances to athletic war dances that make the hair stand up on the back of your neck. The dancers are usually accompanied by a seated group who sing, chant and play percussion instruments. Men perform in warrior outfits, some bearing Fijian traditional tattoos, and the women wear traditional dress with their skin shining from scented coconut oil. Each performance usually tells a story of history, love or legend. Whenever you get the chance to experience a meke, grab it. Fijians take great pride in their performance and the quality is exceptionally high. While Fiji's resorts and restaurants offer delicious cuisine from around the world, the traditional Fijian and authentic Indian food is not to be missed. Indigenous Fijian feasts are cooked in a 'lovo', an underground earth oven heated by hot stones. Usually taking a couple of hours, the slow cook technique produces beautifully tender food with great flavour retention and a light smokiness throughout. You’ll get to enjoy yam, taro, kumala (sweet potato) and cassava (tapioca), as well as pork, chicken fish or lamb. Yum! Fijian Indian culture and traditions have evolved from the early days of labouring in the British-backed sugar industry. This includes the Indian cuisine, which has developed into a deliciously unique blend of traditional spices, fresh local ingredients and a hint of Pacific flavours. If you like Indian cuisine (and who doesn’t! ), you’ll love the flavours of Fijian Indian dishes. 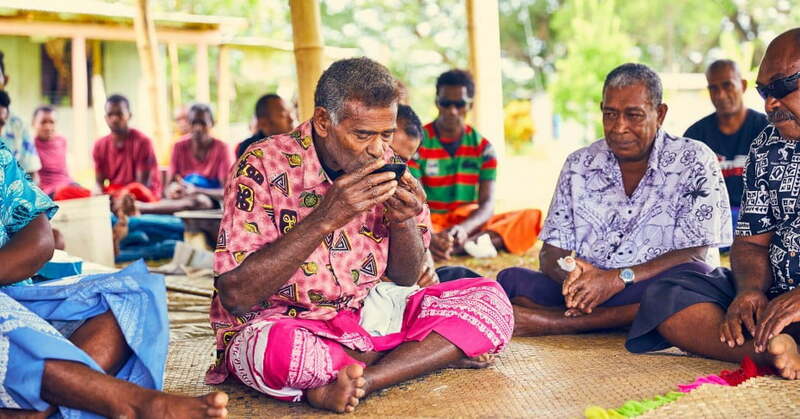 Although English is spoken throughout Fiji and taught in schools from an early age, Fijian and Hindi are also official languages and typically the first language among indigenous Fijian and Fiji Indian cultures. Learning a few words of Fijian before you arrive, and how to pronounce the main place names correctly, will certainly earn you a few extra smiles. 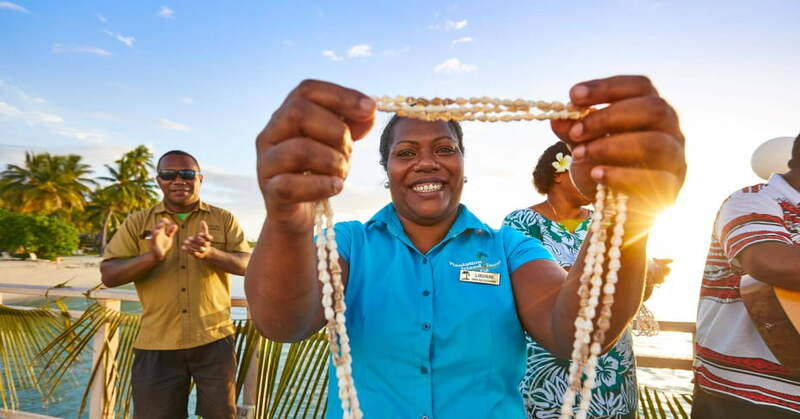 'Ni sa bula' or simply 'bula' is the universal Fiji greeting and 'vinaka' (pronounced veenaka) is how you say thank you or good. Yes is 'io' (ee or) and no is 'sega' (senga). As you probably noticed there, the letter g is pronounced 'ng', so Sigatoka is pronounced Singatoka. The letter d is also pronounced with an n before it, so Nadi is spoken as Nandi. You pronounce an m before the letter b, so Toberau is Tomberau, and a c is pronounced 'th' so Mamanuca Islands is pronounced Mamanutha Islands. 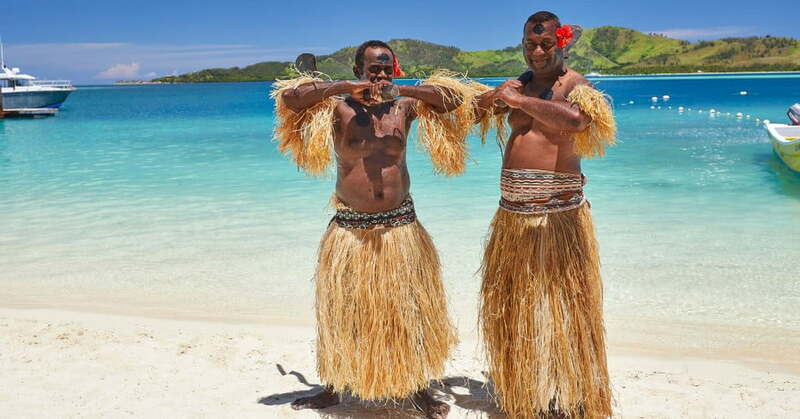 Don't worry if you get it wrong; Fijian's are too cheerful and understanding to get upset, but they do appreciate visitors who give the language a go. Religion is an important part of Fijian culture and heritage, and the multi-cultural nature of the population means a wide range of religions are followed. As you tour the main islands you'll see some lovely examples of Christian churches, mosques, and Hindu and Sikh temples. Even if you're not religious, you're welcome at a Fijian church service to join in with the magnificent singing. You'll also deepen your understanding of Fijian society. Dress well and check with your accommodation provider regarding suitable local churches and protocols. Most main island tour operators and small island accommodation providers include the opportunity to formally visit an authentic local village. Even if the main purpose of your holiday is rest and relaxation, you'll make a deeper and more lasting connection with Fiji by experiencing the unique Fiji culture and traditions first hand. In rural areas, the conservative traditional village way of life is still strong. The village is led by a chief and extended family groups live together providing communal care and support for all. While Fijian people are famously welcoming and easy going, there are a few things to remember if you're invited to visit a village. Firstly, it is customary to bring a gift (sevusevu) of powdered kava root for the chief. If you're with a guide they'll look after this for you. You should dress modestly with shoulders and knees covered. Always take off your hat before entering a village and remove shoes before going into a home. Finally, never touch someone on the head, no matter how cute the young children are. Villages that welcome visitors are genuinely interested in sharing their way of life. The humble pride they show, from the chief to the young children, is impossible to miss. Bring an open mind, relax, go with the flow, be ready to learn and you'll leave with a fresh perspective on the world - as well as an aching face from laughing and smiling like never before.